Rock Band Rivals rolls out across Europe starting today! 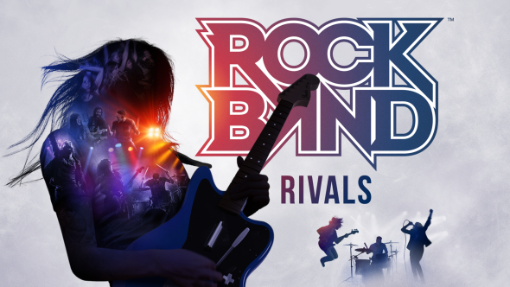 Harmonix Music Systems, Inc. and Performance Designed Products LLC (PDP) proudly announced that Rock Band™ Rivals will be available on both Xbox One and PlayStation®4 across EU from today, fans should check local retailers for specifics. In addition, the Rock Band Rivals Companion App, the first mobile companion app in Rock Band history, is now available on the App Store® and Google Play™. Rock Band Rivals introduces two all-new game modes as well as multiple new venues and Rock Shop items to Rock Band. Marking the much-anticipated return of online play to Rock Band, Rivals mode also represents the most dramatic shift to the Rock Band meta game since the franchise’s introduction in 2007. In Rivals Mode, players band together to form crews of up to ten people to take on other crews around the world in a structured and ongoing series of uniquely themed gameplay challenges. At the beginning of each challenge, crews will be assigned to one of six tiers. When a challenge ends, the best crews will ascend to a new tier, while underperforming crews will face demotion. As crews get promoted they’ll earn badges and face stiffer competition in their quest to earn their place amongst the elite in the highest tier – Bloodstone. Rockudrama is an all new campaign mode and the world’s first playable music documentary. Featuring a mix of live-action video, in-engine footage and classic Rock Band gameplay, Rockudrama dynamically tells the story of your band’s epic, and often hilarious, rise to fame. As players progress through their band’s memorable and winding road to glory, they will be introduced to a series of new venues and character assets that will be unlocked for play across all of Rock Band 4’s gameplay modes. With the free Rock Band Rivals Companion App, players will be able to coordinate with their crews no matter where they are. Within the app players can access details about the weekly challenge, manage their crew roster, message other members of their crew and monitor their crew’s progress during weekly challenges. Rock Band Rivals is available in two separate bundles featuring the new Rock Band Wireless Fender® Jaguar® Guitar Controller. For players looking for a full band experience, the Rock Band Rivals Band Kit, available for both Xbox One and PlayStation®4, offers an all-in-one Rock Band kit featuring Rock Band Rivals and Rock Band 4 game software, Rock Band Wireless Fender Jaguar Guitar Controller, drum kit, microphone, wooden drum sticks, adjustable guitar strap, and 4xAA alkaline batteries for £199.99/€234.99. For guitar enthusiasts who want to pick up the new Fender Jaguar Guitar Controller, the Rock Band Rivals Wireless Jaguar Bundle will be available with included Rock Band Rivals and Rock Band 4 software for £99.99/€119.99. Following the precedent set by Rock Band 4, Rock Band Rivals will continue to be updated following launch, including the release of synchronous online multiplayer in December. 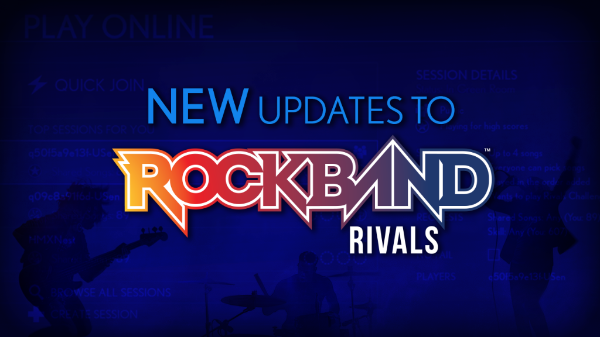 Rock Band Rivals Quickplay Update Now Live!